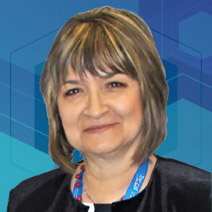 As scientific researcher, Adriana has more than 40 years of progressive experience in the Mass Metrology activity. Her professional history includes positions such as Diplomat Engineer, as well as Dr. Engineer, at National Institute of Metrology from Bucharest, Romania. In the present she is involved in an activity in relation with legal metrology at Regional Directorate of Legal Metrology. Her professional experience is reflected in more than 45 scientific published papers (in various publications and conferences) and more than 25 unpublished works.